4 Things To Consider For Finding Your Perfect Wedding Bands! Wedding bands – Did you find the perfect band for your marriage? They say marriages are made in heaven… only to be lived and cherished for life on earth. And to strengthen your love, what better than choose the most exquisite wedding bands that depict your love, your purity and style through their classic designs. And so, it gets vital that you choose a perfect wedding band for your marriage, something that is above the basic patterns. So, here are 4 tips that you should consider while buying the perfect wedding bands for you and your life partner. You will wear your wedding band day in and day out, for the rest of your life. It will be a part of your identity, so make sure it fits in well. If you like to present your style boldly, go for wedding bands with larger diamonds such as 7 diamonds half eternity band. 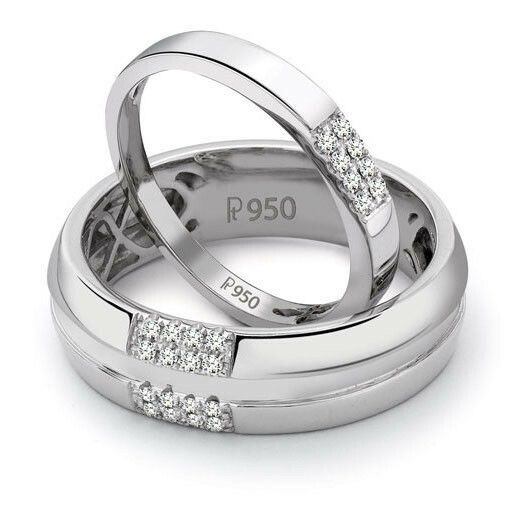 For brides who have a more subtle taste, thinner bands with less diamonds or maybe even no diamonds, would be an ideal choice, such as Plain Platinum Love Bands SJ PTO 104. If you have a very colorful personality, add some colors to your band to reflect it or have your band completely customized. I cannot emphasize this enough, make sure your band matches your lifestyle & your work environment.For e.g. if you are a dentist, you would prefer a thinner band with no protrusions, such as a classic 2mm wedding band. 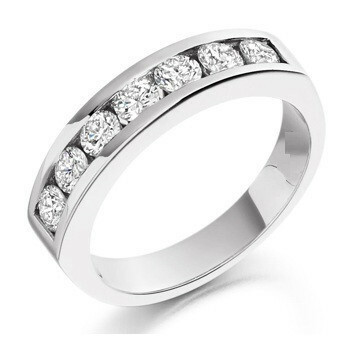 Whereas, you are a high-profile socialite, you may want to go something much more iconic, such as the 10 Pointers full eternity wedding band SJ PTO 250. 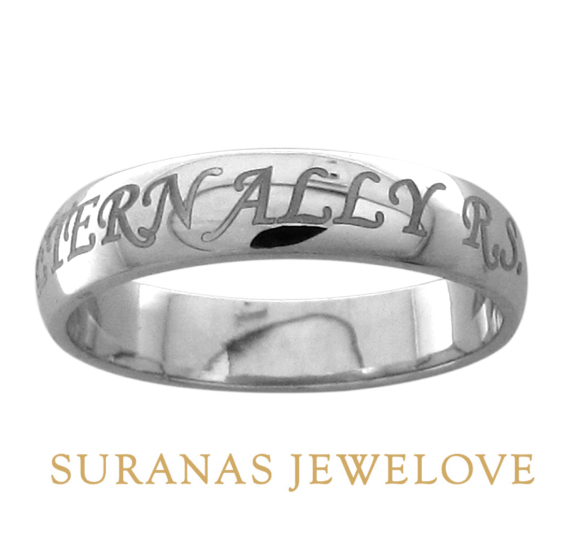 You want your ring to fit into your work & personal life very comfortably so that it is a pleasure to wear always. It is your wedding! It is a band that you will wear for the rest of your life. 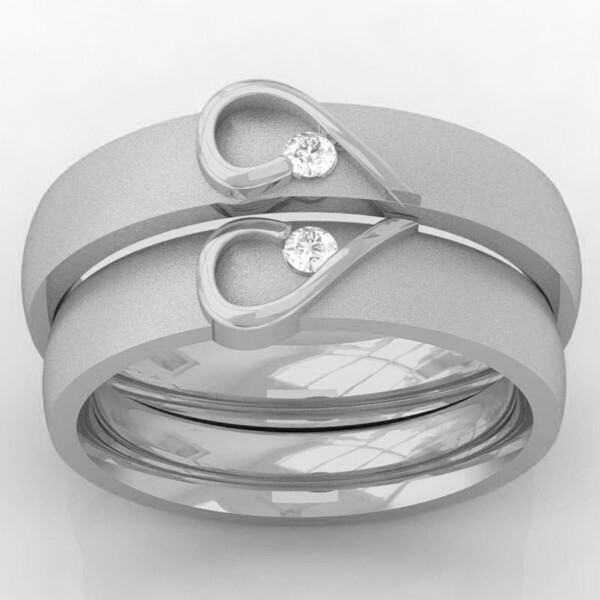 This band is symbolic of your trust and love for each other, which are the foundation of your relationship. So make sure your bands are as unique as you. 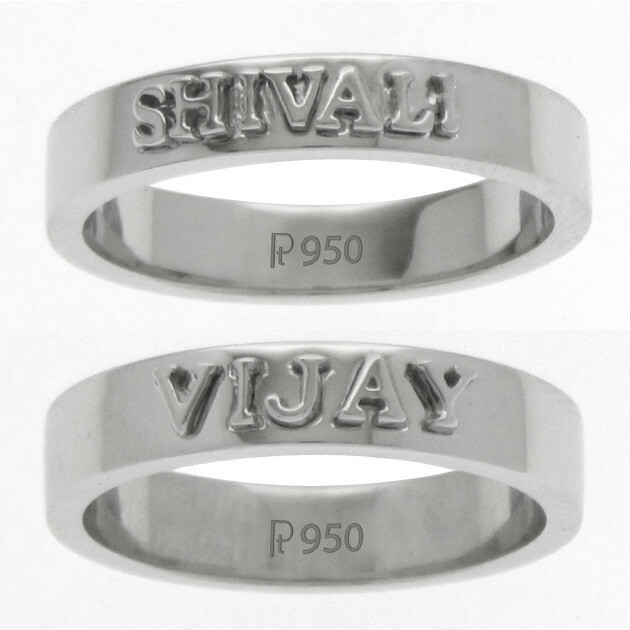 You can make them personal with something as simple as engraving your names or the date when you first met or first kissed, the rings or you can go for even name embossed bands. If you are very particular about the design that you want to wear, then you should go for it (after all it is your wedding!) and have them completely customized. durable enough to last you a lifetime (and hopefully much more). You may want to select platinum because of it’s natural white shine, density, strength which make it highly durable to last generations. Remember, whatever you choose, make sure you like it, because it will be a part of who you are & an eternal symbol of your beautiful love. P.S. : I had originally written this article for the Women Planet Blog as their expert on platinum jewelry.